A embryonic Clipboard thread here on FixturesCloseUp called out for this unusual Clipboards as Jewelry Backer use as an addition. From the Pinterest Board “Yes, I’m a Window Dresser! !” by Joel Cayton. It was even suggested you paint the clipboards with chalkboard paint to allow lettering prices and promotions on them supporting the jewelry displayed. 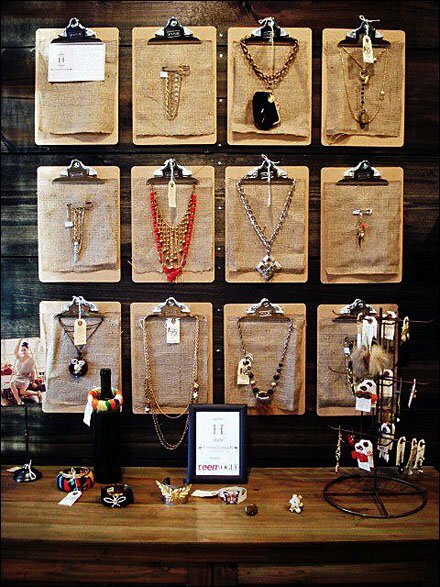 Scroll down for more Clipboards as Jewelry Backer and other Clipboard uses in retail.